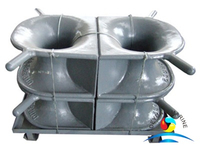 Marine Deck Panama chock also call Mooring Deck Panama bow,Panama canal chock is a type of ship’s mooring and towing fitting installed on the shipside to lead the mooring or towing rope from the ship’s inboard to outboard. 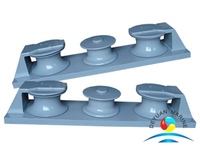 Most of the Panama mounted mooring chocks existing at bow and stern of the tankers are fully workable for general mooring purposes,it is designed and tested according both to I.M.O. 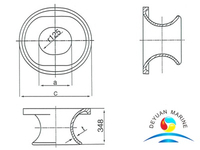 and O.C.I.M.F. 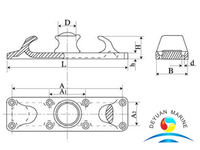 requirements and complied with the Panama Canal regulations.Deck mounted AC panama chock and bulwark mounted BC type panama chock are for option,pls donot hesitate to contact us if you need any of them. 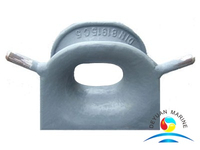 The Marine Panama mooring chock is a very important mooring equipment , in the process of mooring ship , it bears huge loads , usually the ship bollards , mooring deck or bulwark mounted chock for the whole ship mooring use , the general bow and stern of ship blocks the bollard fairlead, quantity large . 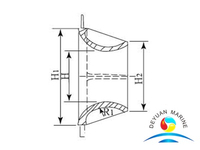 Of intermediate section above without or bollards,fairlead rarely . 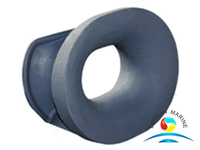 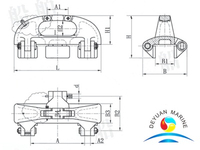 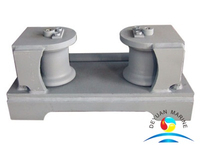 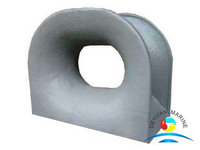 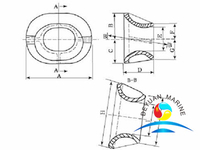 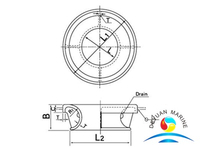 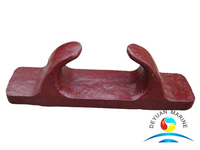 Fairlead is oblique chock more insurance , because it is closed , the cable will not jump out . 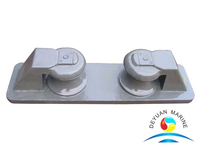 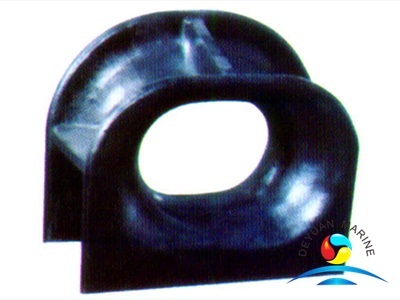 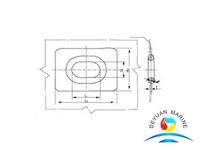 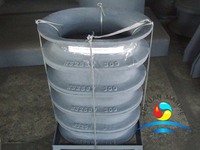 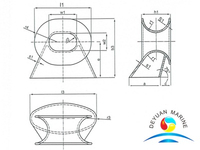 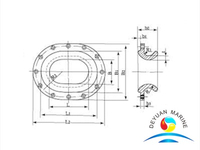 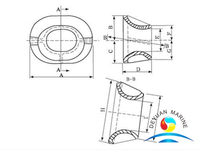 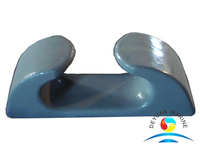 Deyuan Marine produce Deck Mounted Mooring Chock as JISF2017 standard , there are too many different size available ,of coz , we also could special make it as yr requirements or drawing,If you are interested in it , kindly send the email to us for discussing more details .